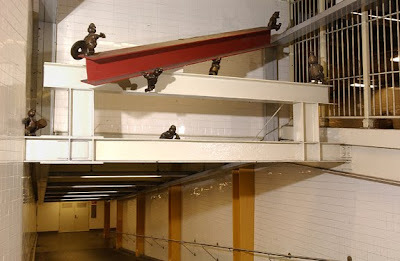 The MTA station at 14th Street and 8th Avenue is home to one of my favorite art installations in New York. 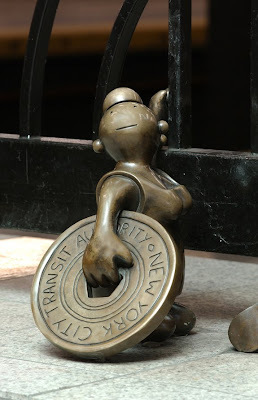 I paid a brief visit to that station again last weekend to see Tom Otterness' Life Underground. Despite my hurry, I had to slow down and take in Otterness' work. 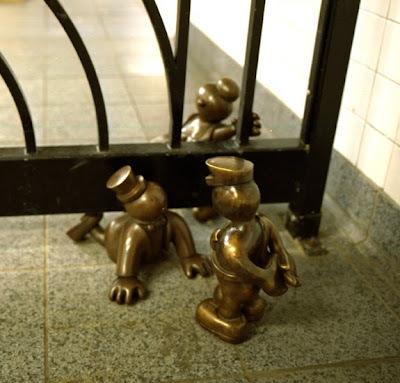 Life Underground is a collection of 100 small bronzes scattered through the platforms and passageways of the station. 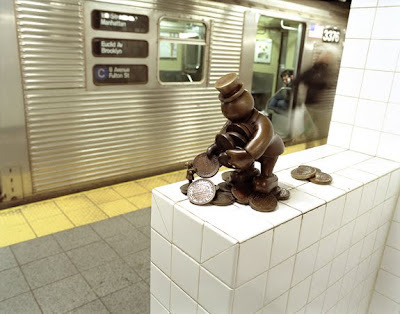 Each vignette (Otterness calls them "surprises") illustrates some aspect of life in New York. 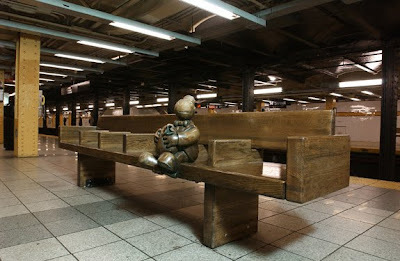 Otterness says the work when taken as a whole illustrates "the impossibility of understanding life in New York." Despite their cartoon-like appearance, these characters are telling the history of the city; warts and all. 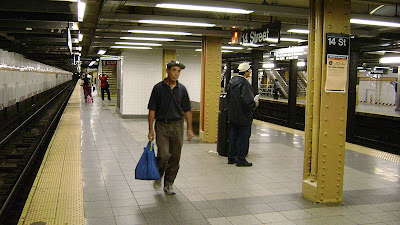 Life Underground has been brightening the lives of New Yorkers and this visitor since 2001. If you find yourself on the A, C, E or L trains, jump off at 14th and 8th and soak in some Life Underground. These sculptures have such a charming quality about them. Thanks for sharing them Paul. Brenda, charming is the right word. They are charming from the outside. But those vignettes tell some pretty subversive and radical stories about class struggles. It's that dissonance that makes them so appealing to me. Christian, thanks for the comment. I often wonder about that too. Despite the million people who walk through that station every year (and that's not an exaggeration), they remain as unmolested as the day they went in. 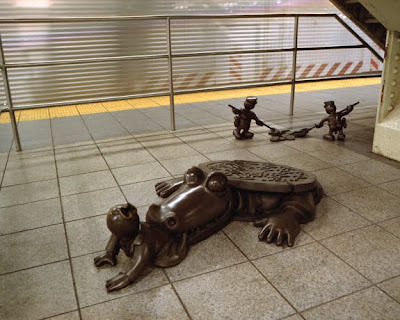 New Yorkers get proprietary about public spaces and public art and I think these bronzes are held so dear by everybody that to harm them would be to break some taboo. Anyone who harmed them would face a station full of pissed of Manhattanites. That couldn't end well.